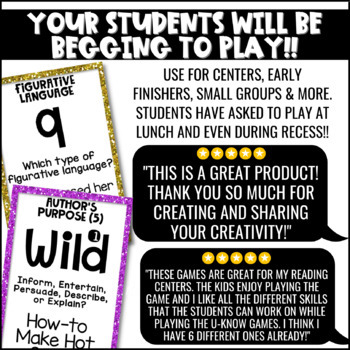 ELA games can make learning important concepts you need to teach fun for students to learn! Let them practice with these fun and engaging literacy games that will make the skills something students WANT to do! Works great for literacy centers, small group or early finishers. 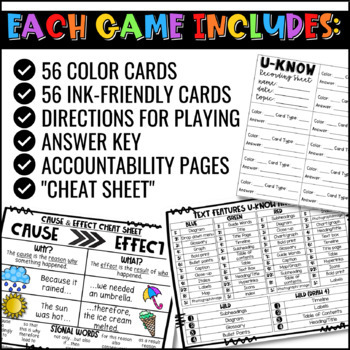 Students will be begging to practice ELA topics with these games! I’ve had many students ask to play at recess and even lunch! Rather have ALL of my ELA U-Know games for a great deal?! Click here to see the bundle.